I was speechless. I felt devastated. After 5 days I still could not use internet on my smartphone. I had not prepared myself for failure. With a lot of reassuring mails in my mailbox I assumed that switching mobile provider would be a piece of cake. My new SIM card seemed to work well except for the Internet. After several failed attempts I looked on the website. I could not find information to solve my problem. I called the service desk. The agent was friendly and suggested several options. I had to use my SIM card in another phone. Good test idea though. My request to set the access point was denied. A lot of resets followed. Another agent took over. Another set of instructions. Another serie of failed internet connections. My request to set the access point was denied again. A new SIM card would arrive within two working days. Too bad it was Friday. My family reported that no SIM card was delivered on the second working day. So I did a courtesy call to the help desk. My math was 1 day off. I try to explain my reasoning: you could have sent it on Monday, so I would receive on Tuesday. Helpdesk math is unbeatable. Back to the internet. At least that was really wanted. My request to set an access point was denied again. I got a bit annoyed. But the agent was willing to browse through all settings. I kindly denied. Already two of his colleagues had failed. On this day my SIM card was in my mailbox. Great. I switched the SIM cards. No internet. Moved the new SIM card out and in. No internet. Tried to turn the card around. No SIM card detected and no internet. Then I lost track of all my attempts. I did a cross test with the new SIM card on the phone of my wife. Internet! Switched back the SIM card to my phone. No internet. I had no words. 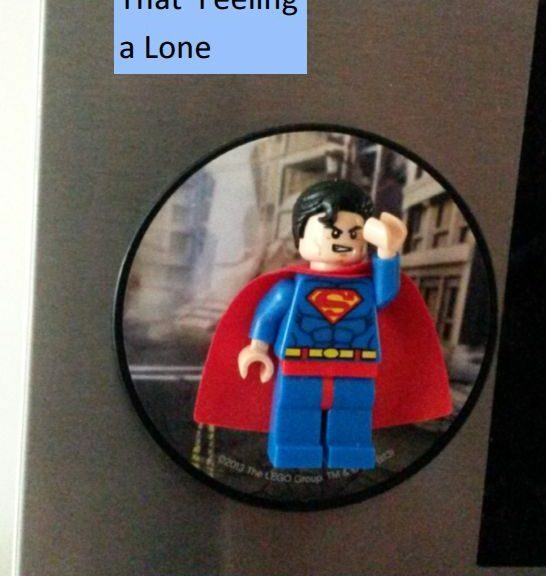 My wife had noticed my gloominess. She let me go to a computer shop to fix my internet connection problem. In the shop I rattled off all tests I had done like a professional helpdesk agent. Of course some tests were repeated. My phone was still capable to connect with the internet, if I could use the SIM card of the computer shop guy forever. Bad idea. Now comes the big surprise: he did configure an access point for me. While making remarks about the illogical structure of the web site of my mobile provider. I was advised to grab my car to go to the nearby shop of the mobile provider. Because I had already cycled halfway, I cycled a bit longer. In the mobile provider shop I had a longer list of attempts to recite. The man listened to my story and repeated a few attempts. Just to be sure. “Is this not dangerous?” I asked. Believe it or not: this man configured the right access point for internet. I was relieved and grateful. Provide a good web site. This saves time and shipping costs. And this blog post, which might go viral. Test the SIM card before migration on all kinds of phones. Do listen to your customer. The helpdesk script does not provide all solutions. It can become a burden for the helpdesk agent and the customer. A colleague once told about a strange request. Now let me imagine the whole situation. “If this is an unknown web site it takes 4 weeks: 1 week for test planning, 1 week for scripting, 1 week for execution of the scripts, and 1 week for test rest reporting. Now imagine the face of the project leader. Poor fellow. Now I change the request of the project leader. “I have a web site which must be tested on performance. I am exasperated. I have a need for participation. I used all the elements of the model of Non Violent Communication as described in my previous blog post. I could add a little more detail. This is a decent request and it is almost impossible to say: No. Really? I have to fit at least a week of testing in 1 day. It is fair to say that this is not possible. It is not a reasonable request, so it is better to decline. Then the dance can start. Let me first focus on the need of the project leader. “I have a need for cooperation. Now the dance is focused on the performance tester. It is her or his turn to explain. Almost. “If I would go with 2 friends I would buy three drinks and 3 snacks. Unless it is Monsters Unlimited with the desert scene. It takes at most 15 clicks for 1 visit. But there more than 3 visitors for the movie. At that moment the project leader would look for another performance tester willing to help him. My colleague had lost a customer. In this case there is no problem. There were needs and feelings mentioned. The performance test coordinator focused on the project leader. And he explained a lot. A lot of talking. But no project though. It is also possible to focus first on the test coordinator instead of the project leader. 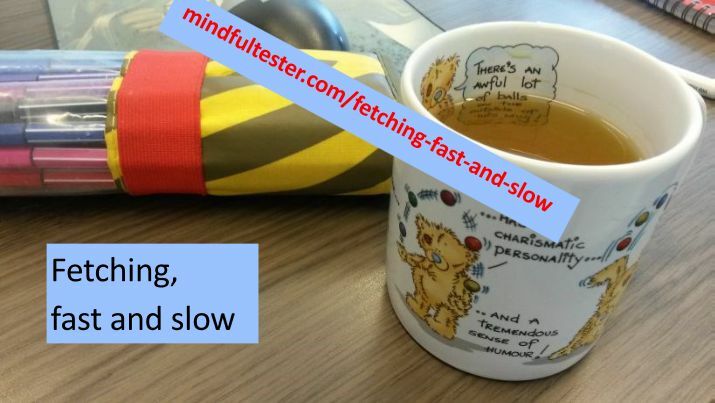 “The last time I had not enough time to explain why a performance test takes this long. I have a need to be understood. 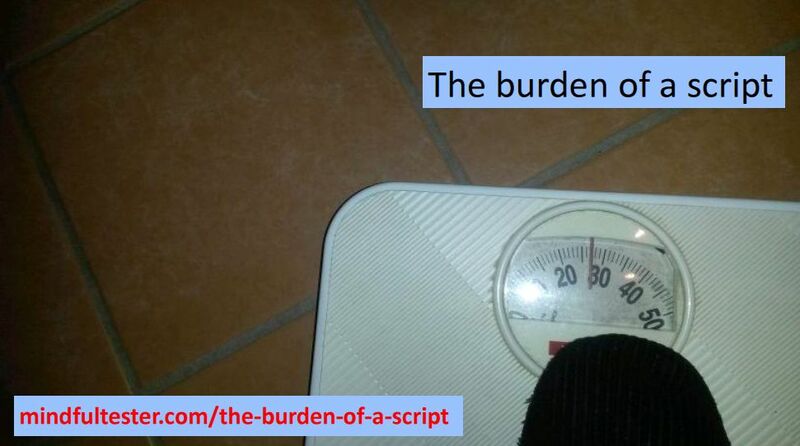 More than 5 years ago in my real life I talked with my boss about a performance test. I had calculated that the investment in a performance would be earned back in 3 months. According to some financial standards this is quite good. But budget was too tight. My boss just asked, whether I had signed anything. This was not the case, so he advised to stop. A week ago a fellow TestBash speaker wrote a personal story about her needs which were not fulfilled. Poor fellow. There was a lot of emotion in the post. So she quit. And found joy back in little things. Now you might doubt whether people would really read this story. But there were. Reactions came in. People who were touched by her story. Feelings and needs can be a big + or PLUS in communication. Describe the situation in an objective way. Go to the feelings inventory. Go to the needs inventory. Now formulate your request and make it reasonable. There are other ways to handle difficult situations. One of my most read blog posts last year was about being fired. I unconsciously used stoicism. My need was clear: a need for support my family. But I had no bad feelings on that moment. I neglected the negative ones. A few weeks ago I talked about a locker problem with a woman of my sport school. “then I moved all my stuff to locker 6.”, I continued at the same pace. The woman halted. Wrinkles of concern appeared on her face. I waited for a moment. The apologising smile was back on full strength. I got another set of apologies and a promise to fix. 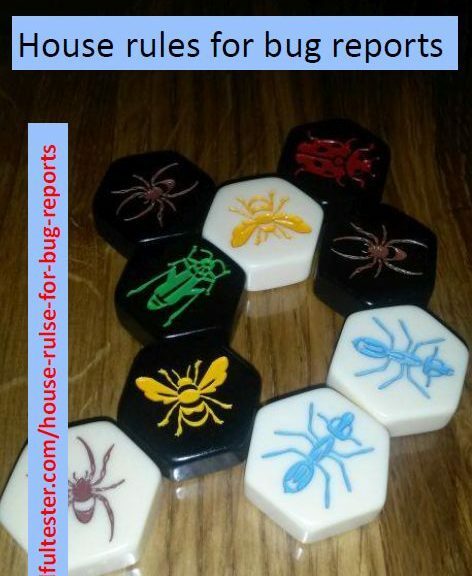 It is not my purpose to leave a trail of bug reports behind. I just noticed something and I shared this with someone who was really interested. I did not use any violence to break the door off. The hinges had been clicked to the locker. They just unclicked and the woman rememberedthis within milliseconds. 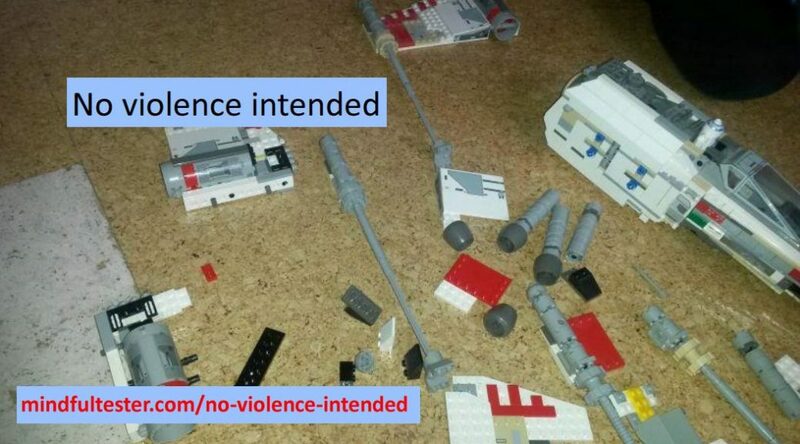 I was also Non Violent. I used an element of Non Violent Communication. What I did, was to tell my observation in an objective way. I did not use any upsetting adjectives like stupid or dumb. It was just a door. I did not have to use the other parts of model, the feeling the need, and the request. The woman had enough information to fix. In my previous blog post I already mentioned Non Violent Communication. I realised that I did not write enough about the non violent part. So this is my rebound blog post. Wait a sec. Annoyed reads very offensive. It is a feeling that I had at that moment. I am writing for myself. It is not targeted at a person. I just had an experience and I was annoyed about it. I know there are people who would consider this as an attack. This should not be the case. That is the responsibility of the person who hears my story. I had a need for perfection. As a tester I am aware that this is not always possible. But the opening and closing of the lockers can easily be arranged. Common technology I would write. My need is personal. Some people might whine about it or like it. That is their responsibility. I am the boss of my own feelings and needs. Of course you can help me to determine them, but I can tell which are appropriate. To me. Please notice “Please”. This is a request. It is also used in other languages: bitte, s’il vous plaît, or alstublieft. It actually means: if it pleases you. So it is completely fair to disregard this request. I just stress it again: it is no order. I am a customer and not a boss. The action would help me, who asks for this action. My bad feeling will go away and my need be fulfilled. That is rather pleasing. For me. My sport school could do nothing with my request. Depending on previous requests from my side I could stop my subscription. 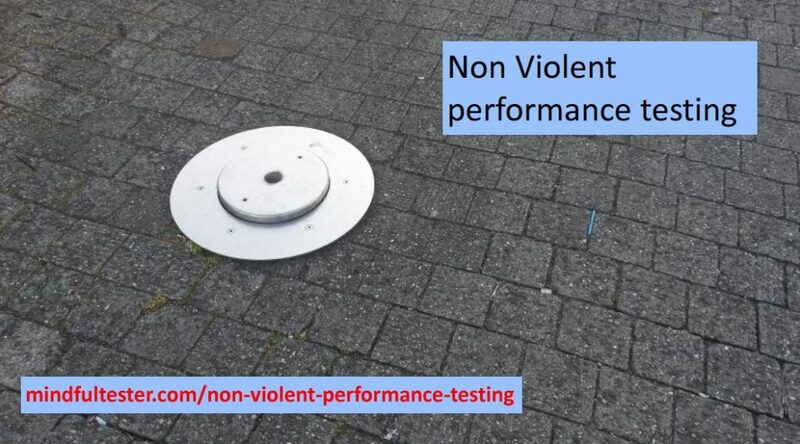 In my next blog post I will write about being Non Violent in the testing field. The other speakers turned their attention to me and I talked about testing. Then I remembered Rik. I turned my head, but he was gone. That evening I did not spot him anymore. Later that week I mailed him a 20 line mail about my talk. Did I do this, because he is a known tester in the Netherlands? Did I do this, because he was the president of TestNet, the Dutch Special Interest Group in Software Testing? I wrote him, because he was really interested in my experiences. I just sent him a Reverse Polished Notice. It all boiled down to the question: what would happen, if I join a conversation? To be more precisely, if I join a conversation midstream. Suppose you are the chairman of a meeting. All participants are people you can talk with freely. At one moment two people want to say something. You pick Cecilia and John has to wait. After Cecilia had her say, what would you do? When I come home, my kids really want to share some stories with me. I hear the first sentences of different stories from different kids. So I have to pick. What would I do after one story has been told? 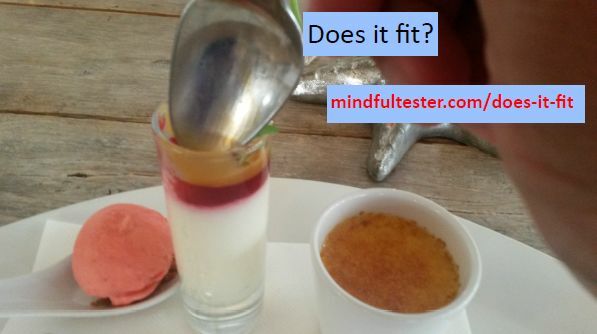 Fancy restaurants have little delicious dishes and standard spoons, which might not fit. “My decision is definite.” George answered. “Don’t you understand?” Scott shouted. Alice started to look white. He went out the room and slammed the door. “Scott, do you know a person you never shout at and who knows as much about automated tests and performance tests as your manager?” George asked. Scott was silent for a few moments. “What is the matter, son?”, George answered. George raised an eye brow, Alice smiled. Scott was shifting gears in his head. Alice put a thumb up. “I only fetch my apple pie ingredients in my car during daylight, when the weather is good. ” George explained. Scott threw his arms up in the air. A frown appeared on Alice’s forehead. “You are close.”, George assured Scott. “You know, mom, that a car has a lot of software.”, Scott stated. “The dashboard must show the right information at the right moment, if I am speeding on the highway. In this case the computers in the car must work very hard. That is the purpose of the performance test. Alice put her right hand on her chin. Alice started laughing merrily. Scott joined in. “This basically means, that a choice must be made between quality and functionality. “, Alice continued. Alice turned away from Scott. George’s chair was empty. He had left the room. Do I communicate (without a mouse)? I once heard a great story from an experienced test manager René. He told me, that his project members were communicating with emails. It did not even change, when they sat in the same room. He just set a daily limit of 3 emails, which they could send. This lead to more face to face communication, which improved the project spirit and group cohesion significantly. In the introduction I used a mind trick on you. This is a trick, which can be used to confuse people. For the fast observations System 1 is used in most cases. This way of thinking provides fast, almost effortless way to digest information. Like walking to the office. For the thoughtful observations System 2 is used. Doing complex operations like testing in the office. Both systems have been discussed in depth by Daniel Kahneman in the book Thinking, fast and slow. The title of this blog is based on the title of this book. And fetching is short for fetching coffee. In March 2015 James Bach introduced the term testopsy. He analysed, what the tester did during a test. I thought about a post autopsy or blog post autopsy. It is tempting to concatenate the strings post and opsy. But as a Dutch native speaker I do not take any chances. Just let me perform an autopsy for a blog post: how did I construct the blog post Do I communicate (without a mouse )? Because I wrote the blog post, I have the original mind map, which was used as a basis. In the following picture I highlight, which System is used and the corresponding trends. System 2 is used in certain parts of the blog post and System 1 in other parts. Time for a graph make over. There is a British car program, in which they deconstruct and construct a beloved car wreck. For people, who earn it. And as a reader you definitely earn a better graph. 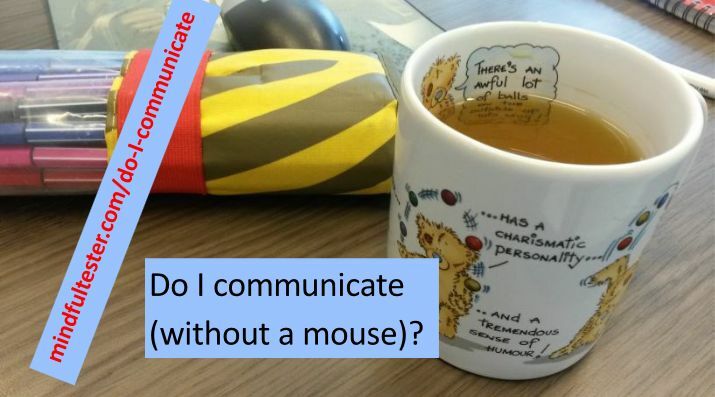 In case you did not read this blog post Do I communicate (without a mouse)?, please do. It makes the following graph understandable. In the graph above I show my usage of Systems 1 and 2 on the vertical axis. The horizontal axis shows the different parts of the post in reading order. So it is possible to observe, that System 2 is used less and less until the end of story. Over the years I saw a recurring pattern. Every time I boarded a project or got a new room, I had to change my coffee fetching list. And somehow I reduced the spent time. 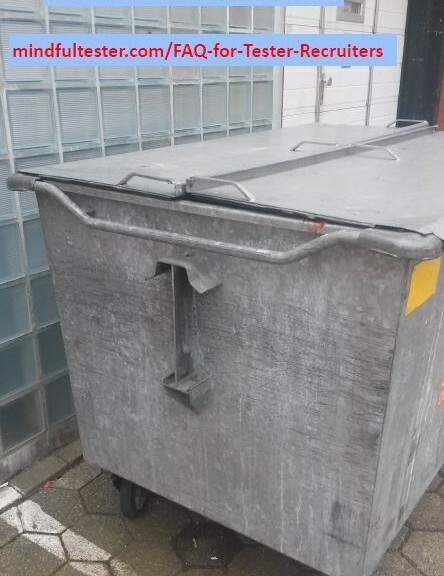 I eliminated waste: it looked to me, that I was lean. This story I carried with me for more than a year. Telling and retelling it to myself over and over again. Then it was time to put it in a blog post. 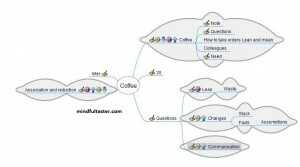 I started with the mind map with the condensed and descriptive title Coffee. The first branch contained the story. Then I added two funny anecdotes to add some flavour to the blog post. In the meantime I had lost my favourite mug out of view: a bear, who juggles, while praising the owner of the mug. (That’s me.) After I had found the mug, I made a photo with my smartphone. The mug was on the foreground and my markers right behind them. Then I noticed my mouse: it was behind the markers and not on the photo. So I changed the view for the next picture: the mouse is on the background. Unreachable for normal use. A few days later I noticed, that I was missing a photo with a funny text for the blog post. I needed something, that could be connected with coffee or tea. Then I remembered the picture of my mug, which was a major obstruction for using my mouse. A thought about communication entered my mind: Do I always need a mouse for communication? It was relatively simple to write an introduction from this point. A curious software tester looking for clues. I somehow used a Dutch style form: the circle is round. I started with the title Do I communicate (without a mouse)? And ended with the same question. Yes, I need some tea. Yes, I need to make a note. Yes, I need a mouse to communicate. In the Netherlands people tend to be too busy to go to the coffee corner in the office. In some companies there is an unwritten rule, that you get coffee, tea, or water for your colleagues once every 4 hour. The first times are hard. What is your name? What would you like to drink? How do you prefer to drink your coffee? Coffee is a difficult one. How strong, how much milk, what kind of coffee ? If you have 10 waiting colleagues, then you need some time to note their requests. Then I get surprised looks. Then often a smile appears. I once noticed a serving tray. The type, which is used in the canteen. There were more than 20 circles on it. Every circle contained the name of a person, preferred beverage in the morning, and preferred beverage in the afternoon. When I called an end user with question about domain knowledge, I got the reply, that she was fetching coffee for her colleagues. So I told, that I would call back after a half hour. The next trick was to discover patterns: he always drinks black coffee in the morning. Or she prefers hot water for her tea. Visualisation is also great: imagine the face of someone you fetched coffee for: cappuccino. Or look at the desks and the corresponding beverages: this is the tea corner. A few weeks later drinking an imaginary cup of coffee and waiting for a nod. A few weeks holding an imaginary cup of coffee and waiting for a nod. A few weeks a slight raise of the chin and waiting for a nod. I fetched coffee and tea for 8 persons within 8 minutes.